2016 witnessed the 50th anniversary for a vital legacy for international human rights work, namely the adoption of the 1966 Covenants on Economic, Social and Cultural Rights and on Civil and Political Rights. I would argue that the legacy from 1967 may be of equal relevance for today. In 2017, we face another highly pertinent 50th anniversary even if it marks a very different story – one of failure and profound loss. It is a forgotten legacy that it would serve us well to openly confront. The 1966 Covenants are widely regarded as the foundation of contemporary human rights work. This understanding fits into the standard historical narrative that has focused on the evolution of the International Bill of Human Rights consisting of the 1948 Universal Declaration, the two Covenants and the implementation measures they contain. However, there is a different version of this history that deserves to be told. Instead of a story of “foundations”, it may be pertinent to discuss the “dismembered” corpus of international human rights law we have had since the 1960s, as its unacknowledged legacy is with us today. It is a common misinterpretation to view the post-1945 human rights story as driven by an emphasis on civil, political, economic, social and cultural rights. In reality, the international human rights project was redefined in 1962 with racial discrimination and religious intolerance at its core. On the initiative of a group of African states, the United Nations decided to draft a Declaration and a Convention in each of these two areas. While the 1965 Convention on Racial Discrimination is well-known, when it comes to the history of the breakthrough for international human rights law in the 1960s, the Convention on Elimination of All Forms of Religious Intolerance has been the unknown quantity. It was proposed by Liberia that fought valiantly for their proposal against stiff competition from the Communist world and Saudi Arabia. At the UN General Assembly, Liberia eventually secured the backing from 12 other African states as well as Iraq, Pakistan and Syria ensuring that the drafting process would proceed. Arguably the most significant attempt during the 20th century to make religion a subject of international law, it has been nonetheless ignored by human rights researchers. By 1965, the UN Commission on Human Rights was focused on drafting a binding Convention on Religious Intolerance. The process was complicated by Communist countries trying mightily to filibuster negotiations. It became another Cold War battleground between the United States and the Soviet Union with smaller states from the Global South stepping in to keep the drafting process on track. Gradually, the process gained momentum. 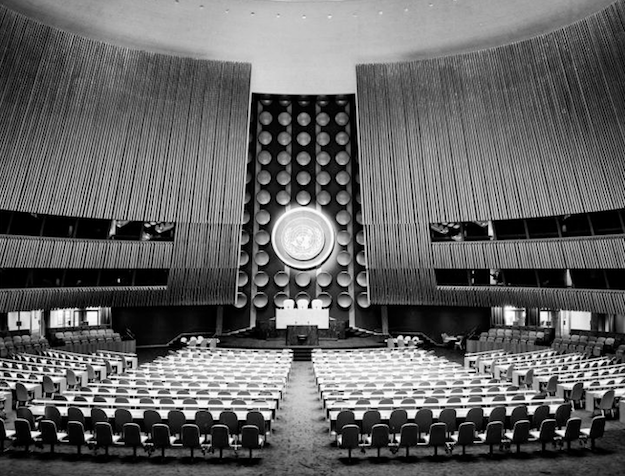 After the spring 1967 session, a full draft of the Convention was transferred to the UN General Assembly for finalization and adoption. The draft version of the convention defined a range of legal standards to eliminate religious intolerance – at the same time elaborating principles for religious tolerance. It also included an article allowing that states could refer alleged violations of the Convention to the International Court of Justice. Many hoped that the Convention would be adopted at the General Assembly’s 1967 session. These hopes had merit as they existed on the back of the adoption of the Racial Discrimination convention and the two Covenants at the last two sessions, in 1965 and 1966. Adopting the Convention on Religious Intolerance would complete this body of work. It failed. Between the spring session of the Commission on Human Rights and the General Assembly in the autumn of 1967, the Six-Day War took place in the Middle East. The diplomatic fall-out from this war meant the Convention became collateral damage at the United Nations. The Soviet Union formed an alliance with Arab States and also capitalized on increasing divisions among Global South states to demand revisions that undermined the Convention. Those efforts secured the Convention’s downfall. This collapse has had far-reaching, global implications. The international community was remarkably close to establishing a legally binding human rights convention dealing with religious intolerance worldwide. One cannot help but mourn what could have been (today) a 45-year practice of addressing the issue of religious intolerance in the global domain — informed by recognized legal standards, monitoring procedures, related political and diplomatic processes, alongside international NGO mobilization. Its absence and the ripples of what was never allowed to be, reverberate loudly. In its stead, the rise of religious fundamentalism has become a defining feature of international politics. The response to this, namely the 1981 Declaration on The Elimination of All Forms of Intolerance and of Discrimination Based on Religion or Belief was – and remains – a matter of too little, too late. We can only guess about the exact impact of the international legal instrument— the 1967 Convention on Elimination of All Forms of Religious Intolerance – had it been successfully adopted. We can, however, draw from the failure a larger symbolic lesson and a diagnosis for the ills of our time. Religious fundamentalism has increasingly become a major source of violent conflict internationally. We continue to witness the international community’s inability to tackle the escalation of sectarianism and its destructive role leading to bloody wars. One of the most unfortunate human rights legacies from the 1960s is this missing limb—this Convention which was not allowed to be—dismembered from the corpus of international human rights law. This Convention project was always going to be challenging. At the outset in 1962, one sceptical UN member – Saudi Arabia reflecting the tense relationship between religion and international law asked with chilling poignancy: “Who would decide where the dividing line between a believer and a fanatic lay?” We struggle still with finding the appropriate answer. As citizens of a war-torn and crisis-ridden world today, commemorating the two Covenants as “foundations” seems feeble — particularly when the roots of so much contemporary violence can be traced to religious intolerance. The complex and intertwined problems we all grapple with stand in contrast to the dismantling of a convention that might at least have helped to contain or address religious intolerance. Its legacy surely lives on painfully as phantom pains do – and may thus be seen as the phantom pains of our own global body politic. Steven L.B. 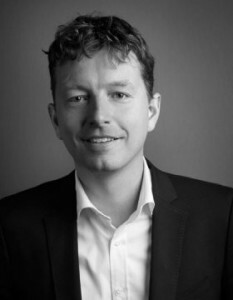 Jensen is a Researcher at the Danish Institute for Human Rights. He has recently published the book The Making of International Human Rights. The 1960s, Decolonization and the Reconstruction of Global Values, (Cambridge University Press 2016). He is currently working on a history of economic and social rights after 1945. Feature photo: The United Nations General Assembly Building – This picture shows the delegates’ area in the plenary hall of the Assembly building, as seen from the public galleries. 1/Oct/1952. UN Photo/MB licensed under CC BY-NC-ND 2.0. An earlier version of this article appeared on the OpenGlobal Rights website (in English and in Arabic).